Walk to the Chao Phraya River. Under the bridge there is a Sathorn Pier. Chao Phraya Express Boat, orange flag.Take the boat at Tha Chang (N9). The royal palace on the right. MRT Hua Lamphong Station Exit 4 Walk to Bangkok Center Hotel. Take bus 25, 53. 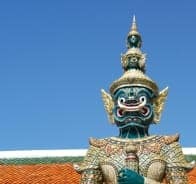 This is one of the most popular ways to The Grand Palace. Take an express boat to Tha Tien (N8) along the Chao Phraya. Once you walk out of the pier walk past the food stalls until you get to a large road junction. 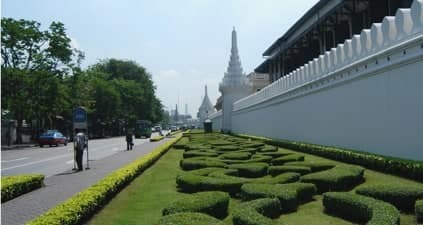 In front (slightly to the right) is The Grand Palace. 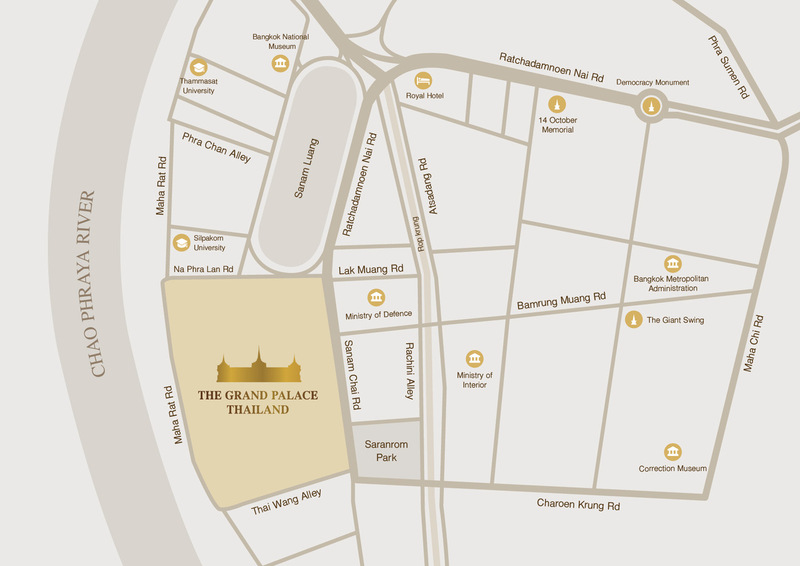 Take a right here and walk about 10 minutes until you come to Wat Pho which will be on the other side of the road. Otherwise get on a tuk tuk but they'll probably over charge a lot for this short distance. Wat Mahathat, Tha Maharaj soi Thapphen, beside City Pillar Shrine, Rajadamnern Road Car Park, Soi Wat Pho, Wat Rakang Parking Building. it might end up costing you more than a taxi to get there. If possible arrange a price beforehand with a little bargaining.